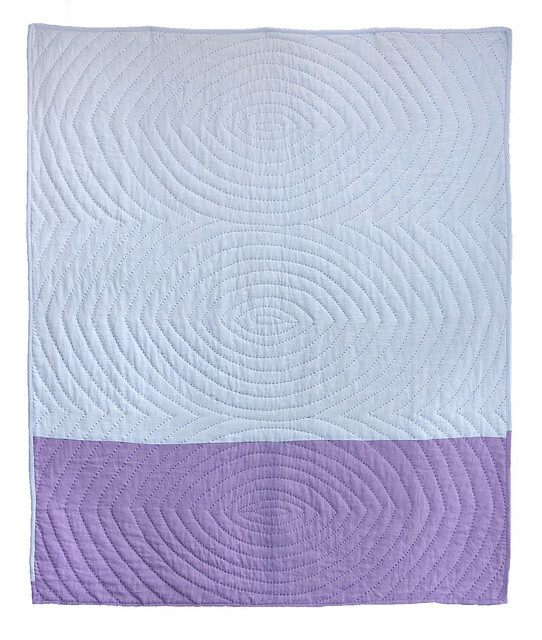 The random pattern of this all linen quilt was created by chance through the process of throwing three coins six times as prescribed by the I Ching. For each six bar block I consulted the ancient oracle for guidance on questions pertaining to my creative life. 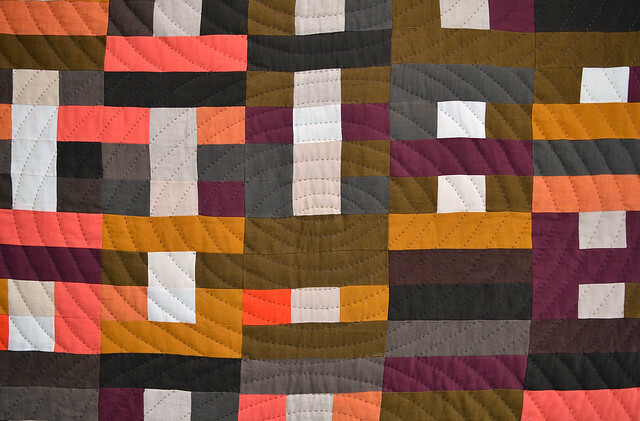 The 20 blocks that make up this quilt reflect 20 questions, each of which I documented along with my interpretation of the oracle's response in a journal. This snapshot of randomness is tranquil and restorative. It ignites a completely different rhythm of attention in making and in viewing than my improvisational work - which is all about personal choice. This quilt is greater than me. It is a universal pattern that I merely channeled and received. I love it for this reason. 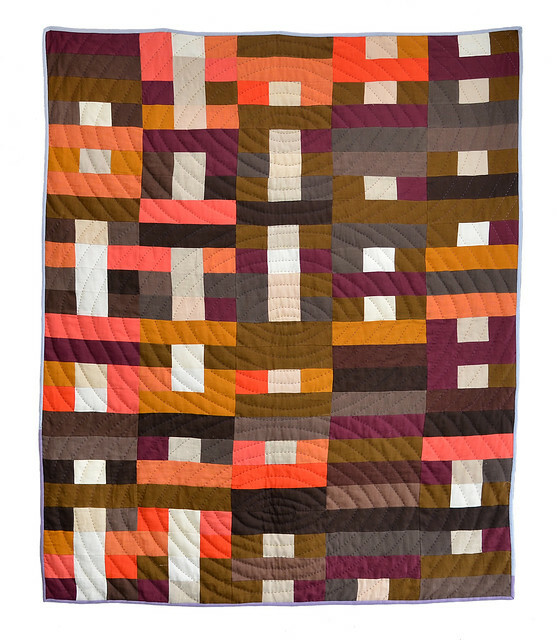 To find out more about the process or to make your own check out the I Ching Modern Quilt-along tutorials. 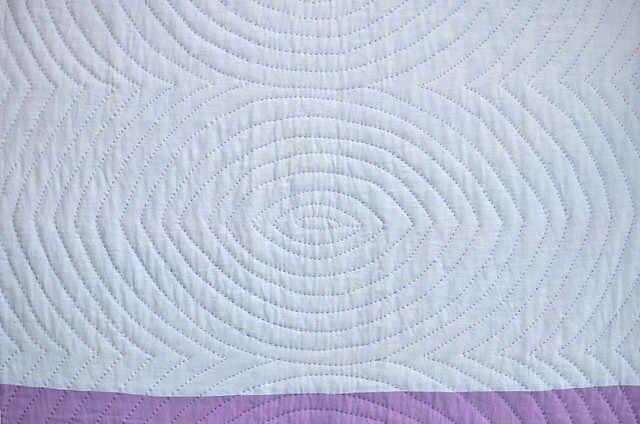 I echo-quilted the concentric womb/eye pattern by hand. I repeated the shape three times, once for each of the three coins that were thrown into the ocean of synchronicity as a method for receiving the oracle's resonating response to my questions. I enjoyed making this quilt. If you've been following the I Ching Modern Quilt-along you may remember the last post on QUILTING was back in January. I appreciate your patience, considering I started the quilt-along over a year ago! It has definitely been a slow but also a rewarding journey. My plan is to make more of these -- each with a different color palette and a different theme of questions. It's available for sale on Etsy!